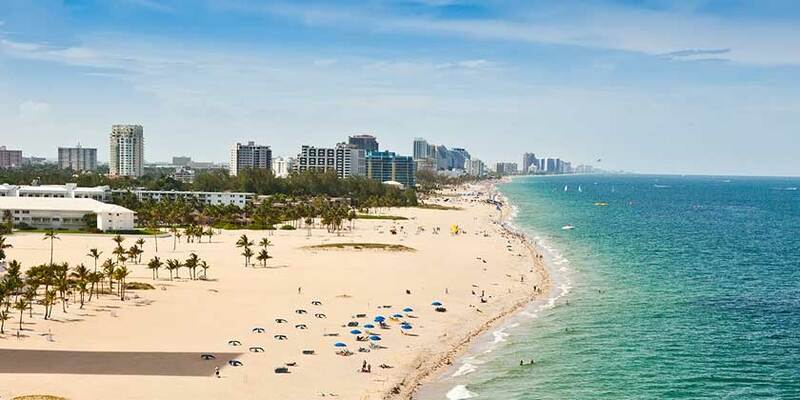 Swim in warm Atlantic waters and relax on more than seven miles of sun-kissed beaches in Fort Lauderdale. Discover over 40 golf courses, relaxing spas, entertainment, fine dining, shopping, and more. Named one of the top ten among the “World’s Best Wreck Diving, Marine Life and Value Dive Destinations” by the readers of Scuba Diving magazine, in Fort Lauderdale, visitors can swim next to exotic marine life surrounded by spectacular underwater worlds. There is no end to the beautiful scenery during a Fort Lauderdale vacation. Enjoy Key West's clear waters and tropical marine life on a 3-hour sailing and snorkeling trip aboard a 50-foot catamaran. Hold on tight for the most popular Florida Everglades airboat ride, at Sawgrass Recreation Park! For a truly special Florida Everglades airboat tour, splash out on a private airboat ride at Sawgrass Recreation Park. Ride the Fort Lauderdale water taxi and experience the "Venice of America" ! Float from one attraction to the next with 12 hop-on hop-off locations! 4 (1) Toggle including or excluding 4 nights packages, 1 deals match this criteria. Resort info: Across the street from the Atlantic Ocean and from the white sands of Fort Lauderdale Beach, this Florida getaway provides gracious accommodations. Resort info: With an emphasis on style, comfort and indulgence, this polished hotel provides couples and spa enthusiasts with an oasis of relaxation. Resort info: One of South Florida's ultimate entertainment destinations, this upscale getaway caters to couples, spa-lovers and gaming-enthusiasts alike. Resort info: Set along the Intracoastal Waterway, the resort is just steps from ocean waves and white-sand beaches. Resort info: The premier choice among Fort Lauderdale Beach hotels, from the moment you arrive you will savor the breathtaking views of being directly on the sand. Resort info: Discover a landmark hotel with world-class amenities located in the heart of Florida's foremost yachting center.